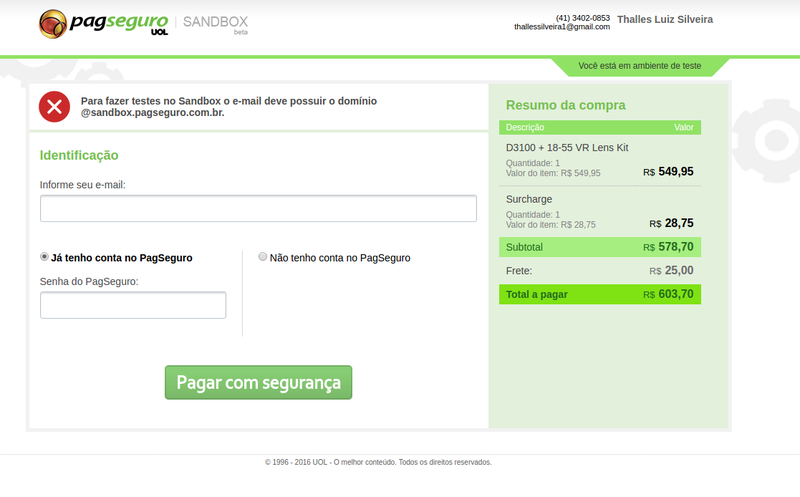 PagSeguro is the Brazilian market-leader in online payment methods. It is trusted by more than 40 million customers and over 500,000 store owners. 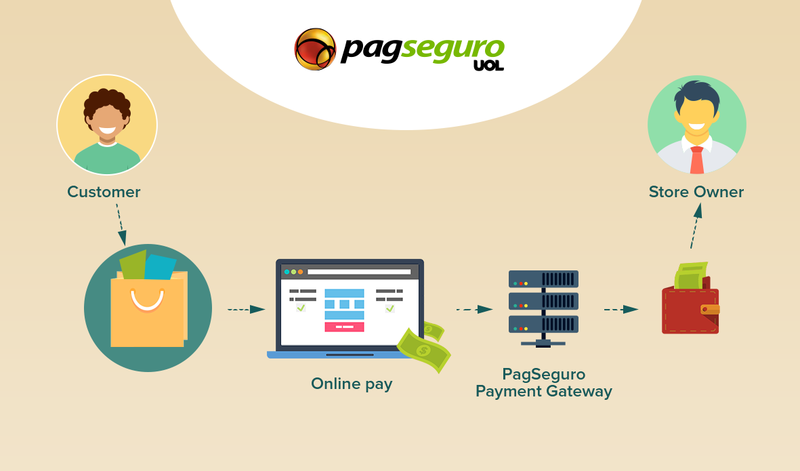 The PagSeguro payment gateway allows you to accept credit card payments, bank transfers, and bank slips. PagSeguro requires no annual or monthly fees. The payment method is protected against frauds. During the payment, the customer is redirected to the PagSeguro secure environment where they complete the transaction. It is beneficial for the store owner because no SSL certificate is required in that case. - Credit card payment by Visa, Mastercard, Diners, Amex, Hipercard, Aura, Elo, PLENOCard, PersonalCard, Brasilcard, FORTBRASIL, CARDBAN, VALECARD and Cabal. - Other payment methods Bradesco, Itau, Banco do Brasial, Banrisul, HSBC, Oi paggo, PagSeguro, Boleto payments. Once you have installed the add-on, you need to create a new payment method on the payment methods list page (Administration → Payment methods). To use the PagSeguro payment gateway, it is necessary to select the appropriate value in the Processor field in the "General" tab. In the "Configure" tab, the store administrator should save the data of the payment account: email, token, currency, etc. To create an account, please go to the official PagSeguro website. 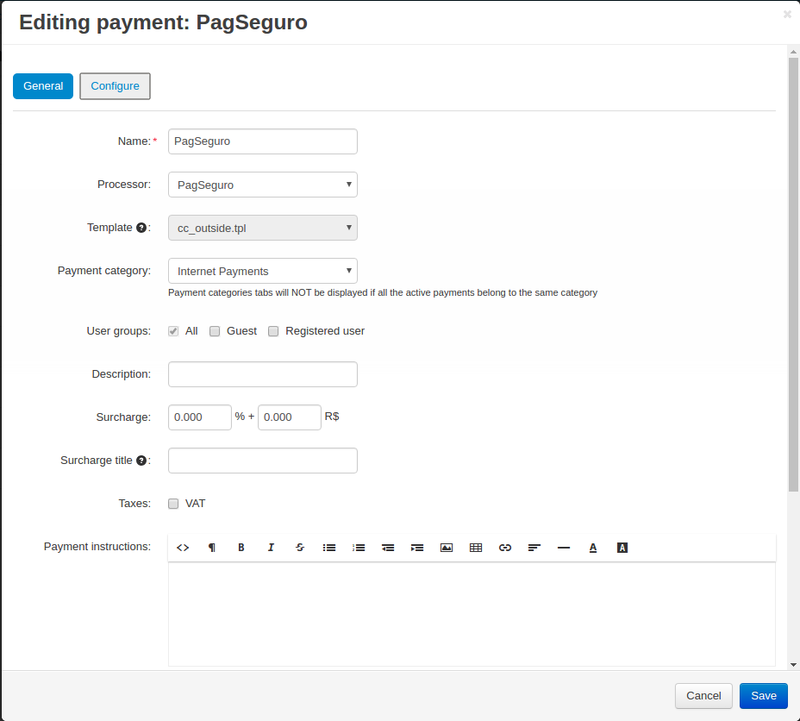 Once you’ve set up the PagSeguro payment gateway in the live mode, it will get available to your customers. So the customer adds products to cart and proceeds to checkout. 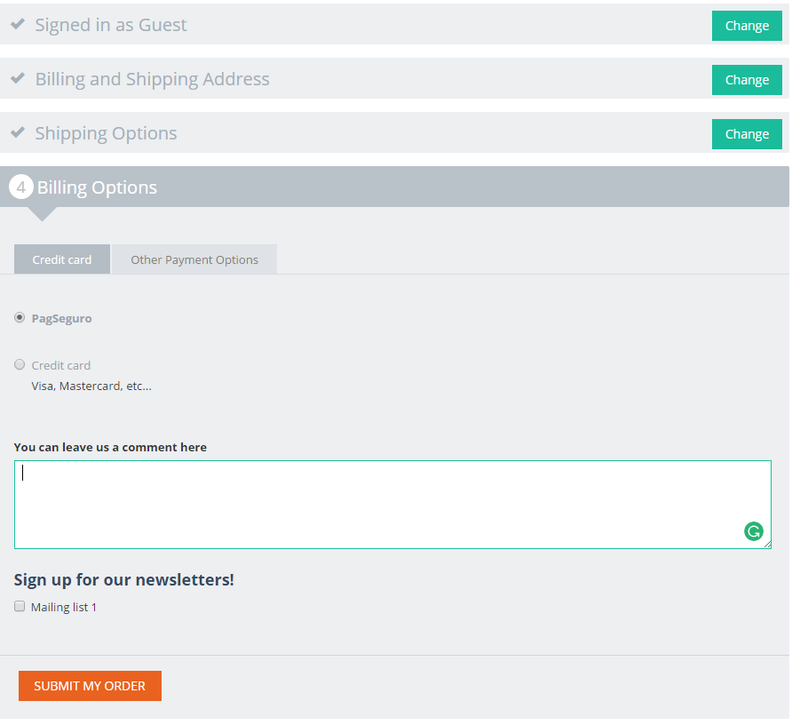 At the Billing Options step, they will see the PagSeguro payment method available. 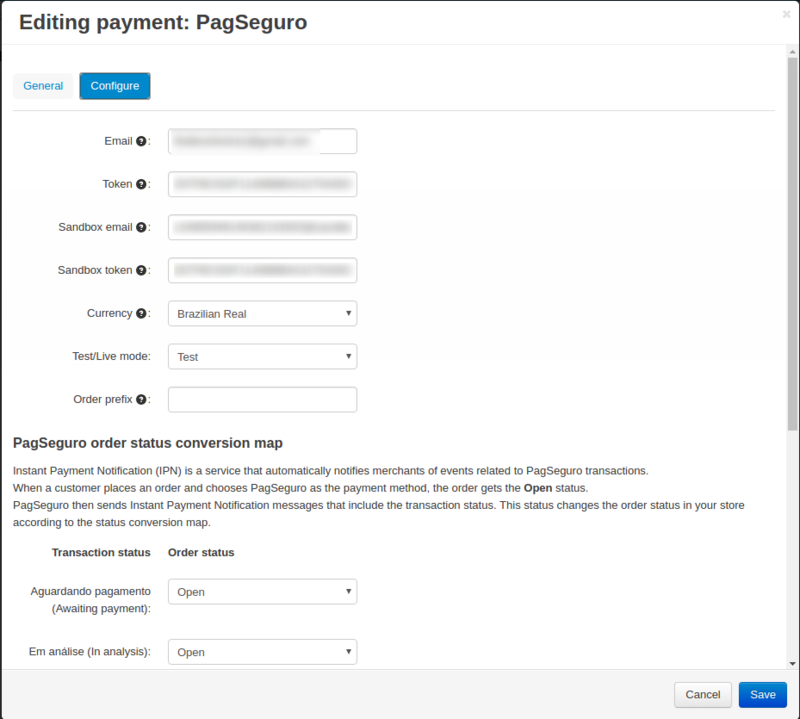 When the customer clicks Submit My Order, they are redirected to the PagSeguro website to complete the payment.